289) I’ve come to the conclusion that mailboxes love boats. Or maybe they love water views. Whichever it is, all I know is that mailboxes that are near any of these tend to be the happiest mailboxes around. Take this fine double-wide. 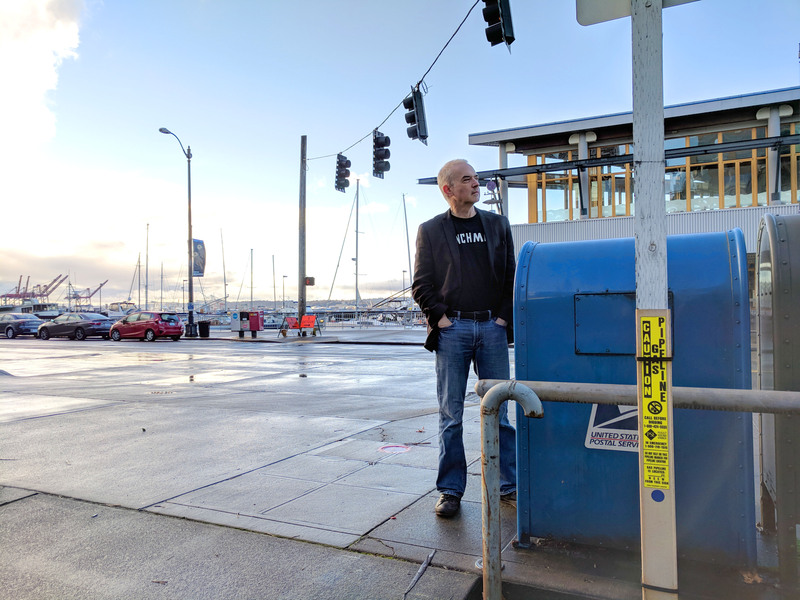 Sure, he’d much rather be on the west side of Alaskan Way where 99% of the pedestrian traffic is located, but from here he can still see the tall masts at the marina, and that keeps him perfectly content.